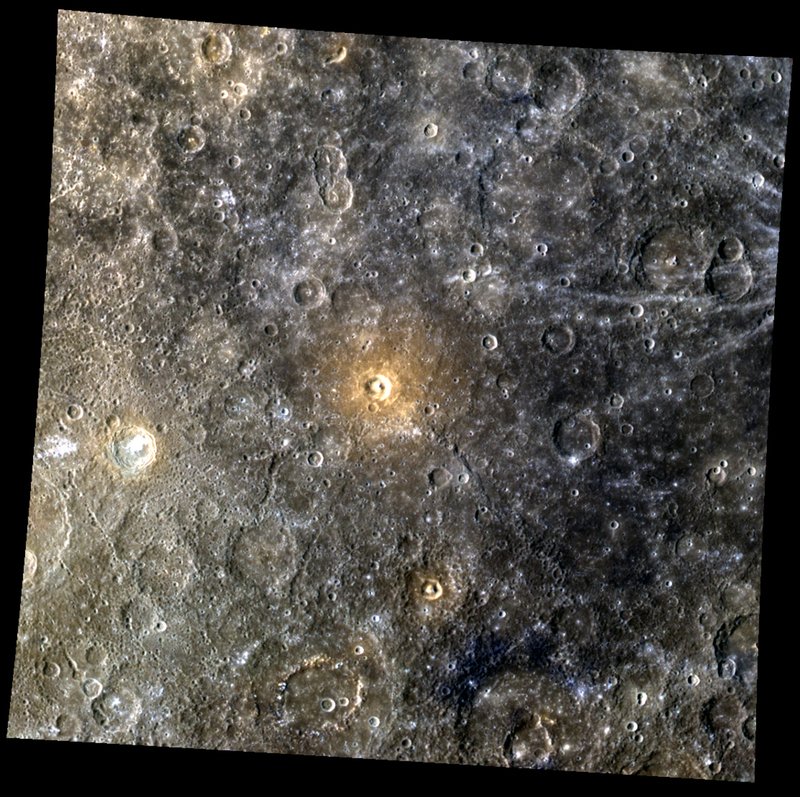 Time for your close up: one of MESSENGER’s colour views of Mercury’s scarred surface. 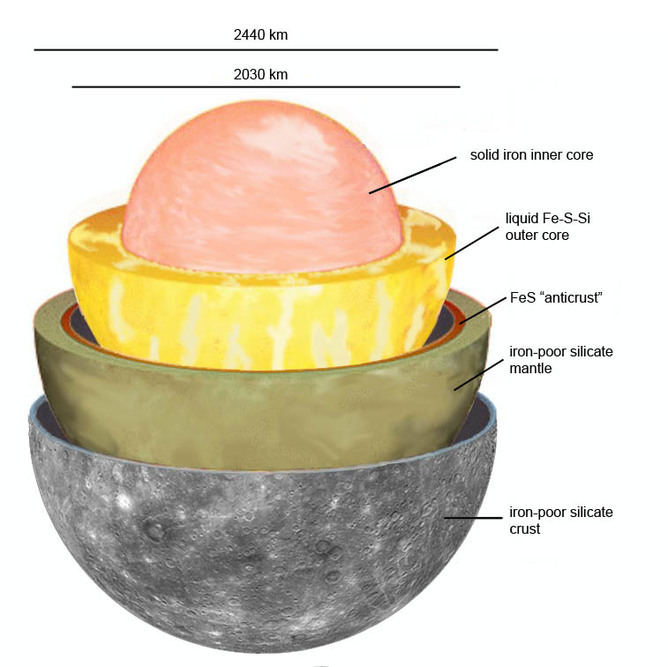 Probable internal structure of Mercury, its magnetic field generated by dynamo motion in the electrically-conducting outer core. 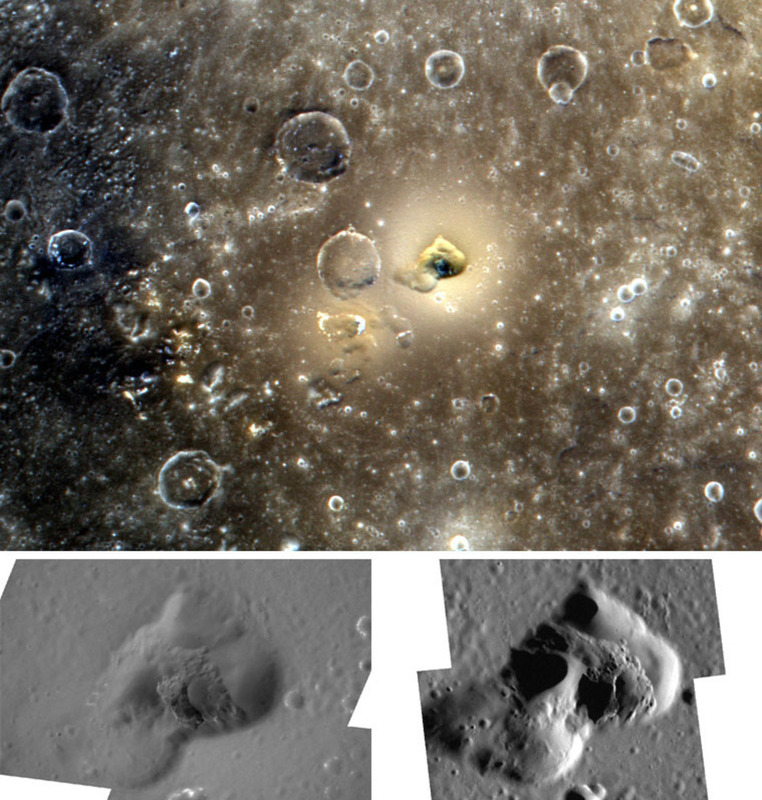 Top: 280km-wide colour view centred near a volcanic vent, surrounded by a diffuse yellow deposit that was erupted explosively. Below: the vent lit by the sun from different angles. 3km-wide close-up of Mercury from low orbit. 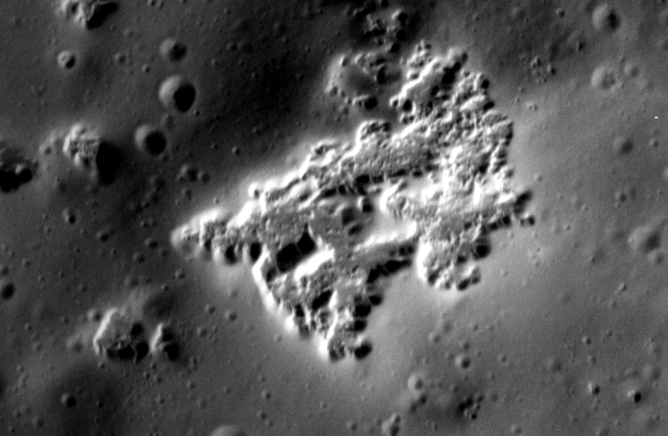 The curiously-textured area in the middle is coalesced ‘hollows’ where about 20-40m depth of surface material has somehow been stripped.